Today’s color inspiration brings us into my vegetable garden. From afar it looks like a fenced in plot of weeds and wildflowers. Pass through the gate, wade through the grasses and clover, though, and you will see three little somewhat tended garden beds, gleefully holding a bunch of delicious veggies. Get a little bit closer, and you have the photos shared here today. Want to sing “oh, how beautiful!” while we sit in the shade and enjoy today’s color inspiration? Let’s! This year my garden is severely neglected, but has been weeded just enough for it to do its job: produce food for our family. Balance and nurture, right? Color palettes are made using Play Crafts’ Palette Builder 2.1 and my photographs, craftily taken at such a scale so as to crop out the weeds! Our first stop is with the hardy, delicious, and dare I say–GIANT–kale. We eat kale in egg scrambles, as kale chips, in soups and stews, stir-fries, and more. Kale does amazingly well in our garden and climate, so each plant grows about 3 1/2 feet tall and 2 feet across. Each leaf is as big as my son’s head. One of these years, I’ll realize that even with our family of five, we only need two kale plants, not eight. In the meantime, kale abounds! I love how intricately frilly each leaf is! The range of greens is amazing, too, including everything from earthy subdued to vibrant and fresh. Mmm! Next up we have Yarrow. Honestly, when I ordered these seeds from our local organic seed company Johnny’s Seeds, I thought the yarrow would be white or yellow. To my pleasant surprise, it bloomed this beautiful pink! Yarrow is a great companion plant to many vegetables and is one of those plants you should feel free to plant all over your garden. It repels soil nematodes, aphids, bean beetles, and many more. I planted mine near my brussel sprouts, kohrabi, and kale and it is doing its job well so far! Finally, onions. Onions are my garden pride and joy (very quickly followed by carrots!). After experimenting with a few different varieties of onions, trying seeds vs. sets, I finally discovered the type of onion that thrives well in our area: Copra onions. These are storage onions that I will soon pull, cure in the dry, sunny garden bed, then braid to hang in my kitchen. I learned all of this from a local friend, since I saw a braid of huge gorgeous onions hanging in her kitchen a few years ago and asked if she would teach me everything she knew. She did, and I’m so grateful. I grew less onions this year than last, but they should still last me far into the frigid snowy days of winter. And that earthy color palette that results just embraces the richness of a garden, doesn’t it!? I feel like I’ve been overly absent from this space these past few weeks. I have been wrapping up SO many projects and making things happen behind the scenes, but I promise I will return to more regularly posting here soon. 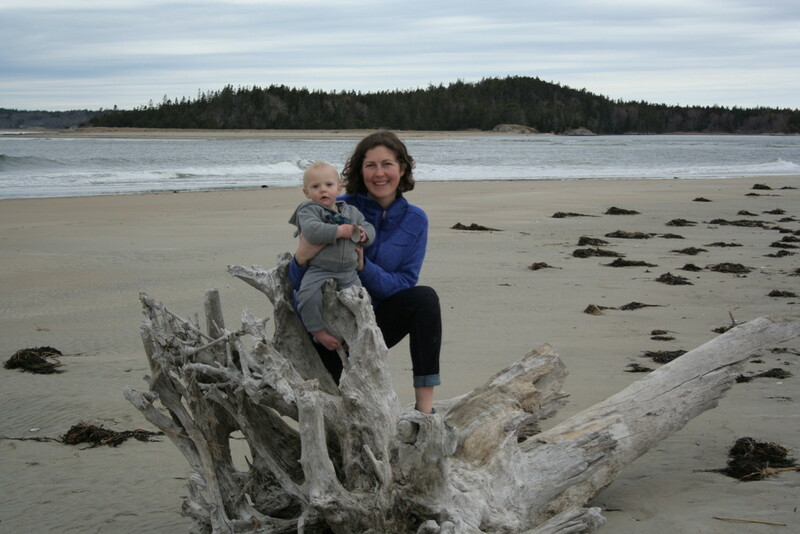 Most of my time lately has been spent going on grand adventures to the coast of Maine with my trusted and ever-able assistant (also known as my husband) and a giant chest full of quilts to photograph for the Quilter’s Planner. I’m excited, relieved, happy, and have I mentioned excited?… that I have officially finished the photography for this year’s planner and I couldn’t be happier with it and the fantastic planner Stephanie and her graphic designer Lindsie are putting together this year. I will definitely be sharing much more about the Quilter’s Planner 2017, so I will hold back the excitement just a little bit for now. However, this week’s color inspiration comes from photographs taken along the coast of Maine, during our photo shoot adventures. As always, color palettes were created using Play Crafts’ Palette Builder 2.1 and my photographs. Maybe you find even a fraction of the inspiration these natural details bring me! This first one fills that final gap in “colors that don’t often star in color palettes” in getting ALL the greys. Barnacles are such gorgeous tiny creatures, both dainty and tough as nails all at once. 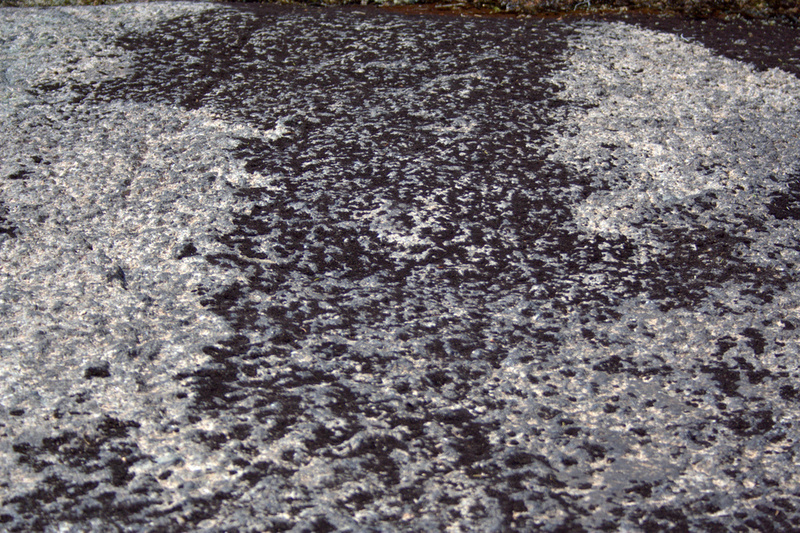 They also provide a gorgeous aesthetic randomly arranged on a tide-swept stone. These beauties were underfoot as I photographed Rita from Red Pepper Quilts‘ contribution to the planner (recently revealed on IG), so before hustling off to the next photo location, I had to give them a private photo shoot. Gorgeous greys! This vibrant rusty chain was sitting right next to the barnacles on the beach in Bar Harbor! Again, a tiny detail that when seen closer simply jumps out at you, begging to be captured in photo. I love the subtle neutrals on the stony beach, with just a few tinges of green from seaweed, boldly divided by a lone rusty chain. I’m holding onto summertime as long as I can, but this palette has an air of autumn to it. Shhh, let’s not talk about that. Back to berry-picking, lake splashing, sun-kissed summer bliss! Enjoy your day! Over the past two weeks, we’ve been searching for colors rarely seen in my previous color palettes, namely white, grey, blue, and purple. Last week, we attempted some white palettes and settled for white with a pop of color. 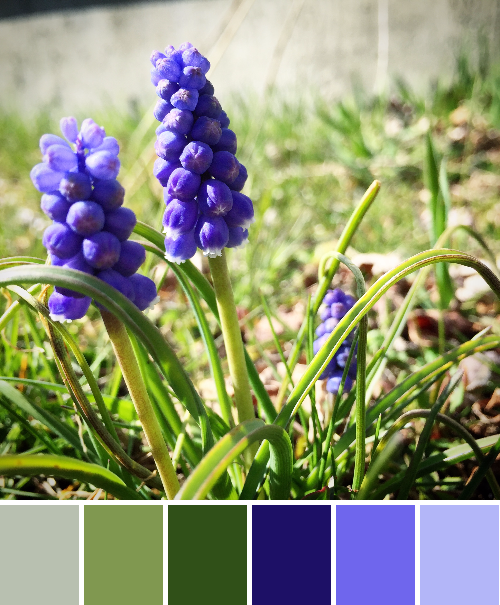 This week, I’m sharing a couple of palettes addressing the purples and blues. We tried something a bit new for the second palette, but I don’t think it will be the last time we try it! Color palettes were created using Play Crafts’ Palette Builder 2.1 and my photographs, with conveniently matched cotton solids and Aurifil threads in case a palette so inspires you to sew! Purple, lovely purple! Literally one, maybe two days after deciding to seek less frequent colors in nature, one of my kids spotted this pinecone refuse left by some critter alongside a hiking path. I went to investigate in response to, “What’s this, mama?” and viola! Purple! and a bit of blue! I love when my kids find little treasures out in the natural world, since that spark of wonder is what makes the world go ’round! I certainly will do all I can to keep it going as long as I have a speck of influence, and will cherish the treasures found. For this palette, we tried something a bit different. There are bits of blue appearing around our gardens–blueberries are beginning to ripen, the blue bachelor button buds are ready to pop any day, and the borage is flowering its fuzzy blue blooms. But no where is there a strongly dominant blue; it is mixed in with the rest of the colorful bits of beauty but alone would not hold its own in a color palette. To combat that, I decided to try a reverse color scavenger hunt. I picked a couple of borage flowers and gave my oldest the challenge of finding things in the house that matched the color perfectly. Borage is a tricky color–a blueish violet that’s very soft and subtle, but she managed to find one book that was an absolute perfect match: a little book called the Dali Lama’s Book of Love & Compassion, a sweet little collection of positive reflections that was a gift from my husband way back before we were even engaged. Everything else we tried was either too blue or too purple, so I headed up and grabbed some blue-violet Aurifil spools to see if we could get lucky. Sure enough, 2525-Dusty Blue Violet is the perfect match! If you look at the matching Aurifil threads pulled from the palette, the second coordinating color is exactly that! Once again, Aurifil has the perfect match. It has been fun to seek the rarer colors, and I still have yet to find a convincingly grey palette, nor have I fully succeeded with a white one, so I will keep looking! I challenge you to spot some odd colors in the world around you this week–where do you see blue? purple? or any other unusual colors that stand out to you? Let me know in the comments, or link to a photo! I have had some fun this week searching out some of the colors in nature less commonly seen in my color palettes, as you helped me name last week: white, grey, blue, and purple. I have also been getting more comfortable with a new camera, since I very recently upgraded our nearly 10 year old Canon with a newer version. Upon reading up on editing RAW photo files in preparation for the big Quilter’s Planner photo shoot, I also made the executive decision to begin a trial version of Photoshop and Lightroom just last night (or should I say, early this morning?). Combine all of those three things together, and that makes for a lot of late nights and fun photo experimentation. AND some really fun color palettes! All color palettes were created using Play Crafts’ Palette Builder 2.1 and my photographs. Since low volume fabrics are among my favorites, I decided to begin by searching for white. I enlisted the help of my big kids and we gathered all of the white and light grey flowers and treasures we could find around our yard and garden. Since I wanted to emphasize the white, we laid them out on a big white poster board. Through this whole search for white-rich color palettes, I’ve discovered that it is quite difficult to find a palette created from nature without the green, yellow, or pinks sneaking in. For the palette above, I ignored the green in creating the palette, even though, for me, the green jumps out at you in the photo. Outside in a shady spot without direct sun = gentle and flat, and with a little bit of lightening in a photo editor, it creates the bright photo with soft shadows that was used to create the color palette above. I decided to try my favorite, macro photography, to see if I could isolate some fully white-spectrum photos. Lo, once again, this just proved that pink and yellow love to sneak into the whites! I also discovered that it is quite difficult to get true white to pull from a photograph. Greys and beige, yes. But white? No such luck. I knew that the golden center of this flower would pull through just as strongly if not more so than the white, but how could I resist? Such a gorgeous bloom, and a soothing palette. In quilting, I love good contrast and a crisp aesthetic, which often is aided by using a low volume/white or dark/black background fabric. This palette is one that I could definitely see myself using, perhaps in a gender neutral baby quilt, or summery pillow. I probably would drop the Stone and pick up pure White, though, even though it didn’t push through in the actual photo. Ahh Thistle, Lupine, Plum; what gorgeous colors! 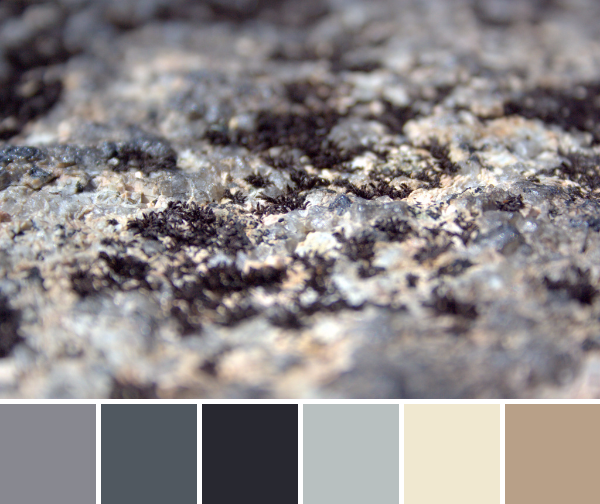 This is a palette that appears in my creations often, although usually with some other colors joining ranks. Again, despite the attempt to find a fully white-grey palette, this was another no-go. Clearly, Mother Nature likes color, too! I still love the photos and resulting palettes, even if they don’t quite fulfill the request for low volume color palettes. I will keep hunting, and look forward to sharing my finds with you next week! Reminder!! The Christmas in July Pattern Bundle Sale ends today at 3pm EST!! It’s your last chance to get a fabulous deal on 23 versatile patterns from some of your favorite designers, including Meadowmist Designs, Quilting Jetgirl, Quiet Play, Blossom Heart Quilts, Live Love Sew, 13 Spools, and many more! At the end of the sale, this bundle of patterns will no longer be available, so get it while you can! 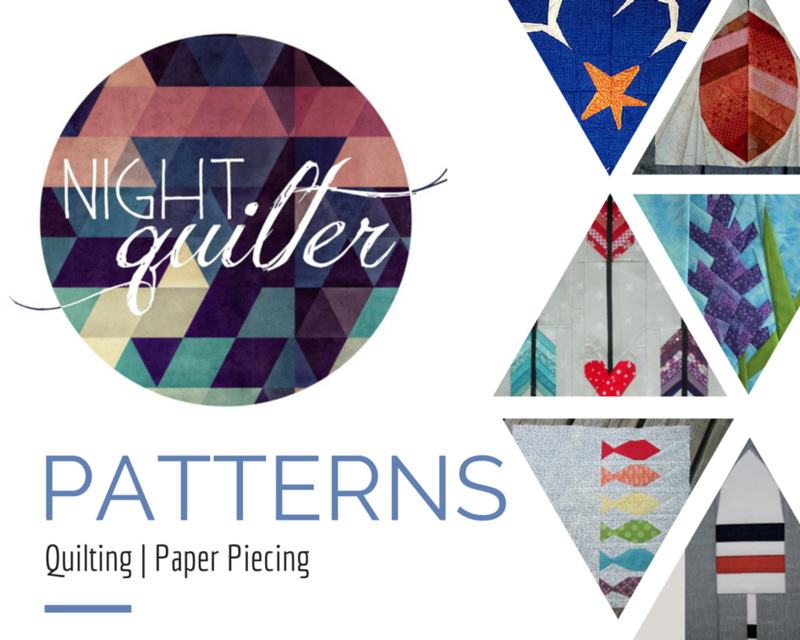 As an added bonus, everyone who buys it HERE is entered to win a Quilter’s Planner 2017 Starter Kit. Creativity overload (in a totally great way!)! **The sale is now over! Also, my giveaway for the Raindrop fat quarter bundle by Rashida Coleman-Hale for Cotton + Steel Fabrics, sponsored by Fat Quarter Shop ends tonight at 8pm! Comment on my post HERE to enter to win if you haven’t already! My garden is in a very temporary visual lull at the moment, with the first burst of blooms dying out and the next round not quite flowering yet, but I have a good stockpile of photographs from earlier this year for color inspiration posts in the meantime. This week features a few of my garden beauty favorites, with color palettes made using Play Crafts’ Palette Builder 2.1. I hope you find inspiration from the detailed intricacies provided by Mother Nature, by the color bursts and combinations found naturally all around us, or by the gorgeous matching quilting solids and Aurifil threads listed beneath each palette! Ahhhh! Peonies are long gone at this point in the year, but their full beauty lives on in these photographs (and my memory). I did not get dahlias in the ground in time this year; otherwise I would be eagerly awaiting their blooms to step into the vacant space left by the passing of the peonies. Time will tell which bloom will steal my heart next. It’s fun how more or less the same flowers bloom each year, since our garden is a perennial garden, yet it is always a surprise when a flower first begins to bloom. One of my favorite aspects of our garden is the wide variety of subspecies that are planted of each flower. There are least ten different species of Columbine, from daintily elegant to full and regal. You can see one of the other species featured in a past color inspiration post here. I don’t remember seeing this red species before this year, but it must have been there, hiding amidst the other copious blooms. I fully enjoyed it this year, and love the rich color palette that results. In looking through my color inspiration posts, there is a definite trend toward pinks, maroons, orange/golds, greens, and earthy tones. I suppose that’s to be expected when the majority of the photos come from the garden around me. I was thinking it might be fun to have a color scavenger hunt, though, and specifically seek some of the colors more rarely found in nature. I’m taking suggestions for color themes–the harder the better (I love a challenge)! What color should I search for first? Blue? Purple? White? I’d love to hear your thoughts! I recently had some fun playing with a new Sizzix die and a color/value gradient from dark purple to light pink. Today I’m sharing a tutorial over on the Sizzix blog so that you can make your own Geese Crossing mini quilt. Since the colors and the peonies from my garden are serendipitously paired, I created a color inspiration palette to share, too! This mini quilt finishes at 24″ square, and its creation coincided with the fabulous bloom of peonies in our garden. It features a new die called Geese Crossing, designed by Victoria Findlay Wolfe and released at Quilt Market last month. It’s a very versatile die and allows for lots of design, color, and value play. Tips for getting perfect points! – Tips to prevent bunching when sewing on an angle. You can read the full tutorial and see more photos of my project process on the Sizzix blog, here. The colors of the peonies and the colors in the quilt meld so beautifully together! I really could not help but take a million photos of this quilt with the gorgeous color gradient of peonies from my garden, but since it’s Thursday, I figured a combination of Color Inspiration Thursday and a heads-up about my Sizzix tutorial would be perfectly acceptable. Ahhh peonies! Such an inspiration! This color palette was created using Play Crafts’ Palette Builder 2.1 as per usual, and the matching Aurifil threads and Kona & Moda Bella solids are particularly useful! I will certainly be getting a few of those threads for quilting! We actually had dark magenta peonies that would have matched the darkest purple fabric, but they are the early variety that met their end during a thunderstorm a few weeks ago. Still, our garden provided a lovely fade from the palest pink to a bright magenta with the peonies blooming now. I love the natural ombres and vibrant colors found in nature and thoroughly enjoy combining natural inspiration with quilty projects. It is so fun to try to stitch the beauty around me into the quilts in my hands! Where in nature do you find the most inspiration? Flowers? Colors in general? Textures? or simply through the endless variety of growth and new life that appears before our eyes daily? Psst… stop and smell the flowers today! I’m linking up with Crazy Mom Quilts Finish it up Friday with this finished flimsy! Ahhhh, summer is here! The garden has been cranking full speed ahead, cycling through blooms as only nature can. This time of year is a strong reminder to appreciate the moment, since if you don’t stop to smell the flowers, before you know it they are gone and being quickly replaced by different ones! Today’s color inspiration palettes come from photos of some flowers in my garden, but with a slightly different perspective. You know how I love to get up close and personal; well today, I took it one step further. I played with the easy macro band my husband gifted to me for Christmas, and using my iPhone, took some seriously macro (super duper close!) photos of some familiar beauties. Color palettes are made using Play Crafts’ Palette Builder 2.1. This first flower was featured in a color inspiration post last year, as part of a pink/purple color lay. It’s the one on the far left, the purple spray-like flowers. I believe it’s a Mountain Bluet (Centaurea montana). This year, I went straight to the heart of the flower, and I love the blurred depth of field and soft, rich color. This Mountain Bluet heart reminds me of improv quilting, gorgeously random yet cohesive. Isn’t it amazing how simply moving insanely close to a flower changes the entire aesthetic!? I feel like I say it almost every time, but it’s a whole new, beautiful world in there! A bit more about the Easy Macro band; it’s really simple to use and costs just over $10. I’m not an affiliate or anything, but it’s such a clever little tool, I thought I’d share more information. It looks like a big rubber band with a little round lens on it, and you simply stretch it over your phone, lining up the lens with the lens on the phone’s camera. One tip to getting great photos–get far closer than you think is possible, tap the screen to focus, then slooooooowly back the camera up until you find the focus you want. Take the picture! 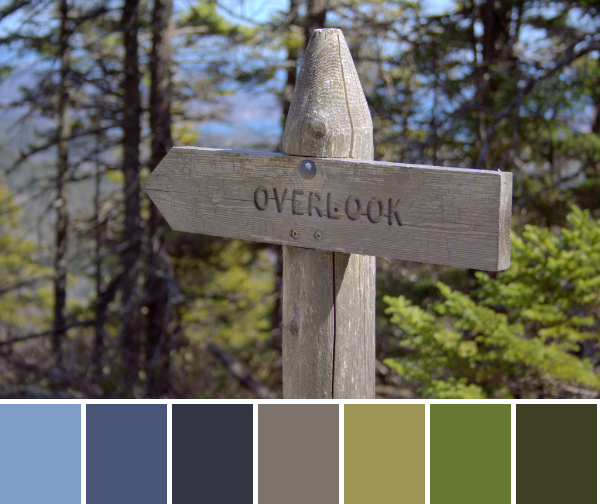 It’s really fun, and you certainly will be seeing more of these easy macro color palettes. I think the narrow perspective helps you focus more on the color than the subject, which is perfect for color palettes! Do you prefer macro (super close up) photos, or more landscape/scene photos? I am definitely in the macro camp, but I know there’s a place for both styles of photography! Enjoy your day, and happy sewing! Warm, sunny, peeks-at-summer days are popping up here and there, intermingled with some below freezing nights and a bout of snow a couple of days ago. Ahh, spring in Maine! 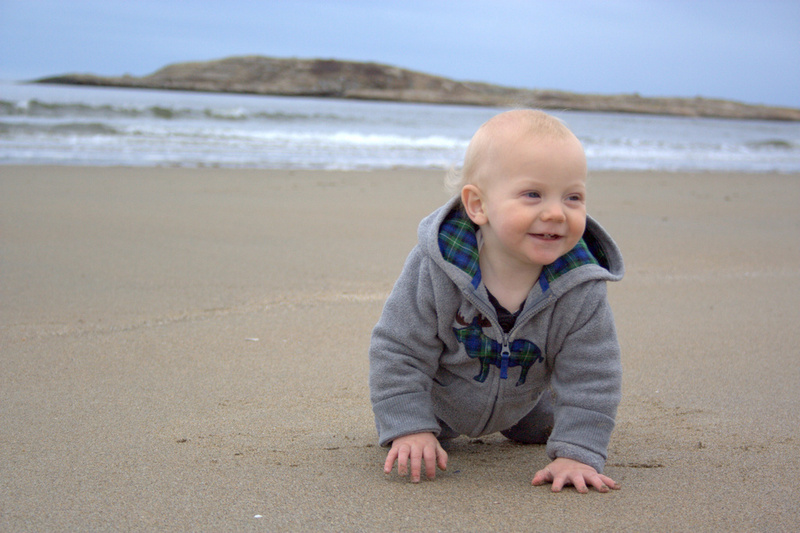 We were able to escape on one last grand adventure as a family of three before my big kids returned from their vacation two weeks ago, and today’s color inspiration comes from our adventures at Popham Beach in Phippsburg, Maine. It’s a bit of a drive away at just over 2 hours, but somehow the stars aligned and Finn slept the entire drive down, making our day joyful and smooth. And such, “beaching it” is the theme of the week; color palettes were created using Play Crafts’ Palette Builder 2.1. As soon as we began along the path to the beach, I was drawn to the sea grasses that grew along the dunes. Such perfect little spikes of green popping up through the fine sand, it’s amazing to think that they alone hold the shifting sands in place during the strongest storms. Yet another reminder of Mother Nature’s simple complexity. The soft greens of the grasses and beige tones of the sand give a quiet feel to this palette. This grass-covered dune was gorgeous as a whole, too, and I was happy to see a nice solid fence and signage clearly explaining the importance of looking without touching (or walking). Great color combinations can be found in the most unexpected of places, like this old, rusty lobster trap that was washed up on the beach and almost entirely covered by sand. I am wishing I took a photo of this from further away, since you might not notice the intricacies of texture and color unless you take a closer look. Lovely rust! I actually have a quilt in the wayyyy beginning phases of planning using a rusty color palette like this. It might become a reality in a year or two! Check out that amazing driftwood!! Here’s to another color inspiration post next week, featuring some of the gorgeous spring flowers that are finally filling our gardens! Enjoy your week! This past weekend, my husband and I sought out a new trail to hike, and aimed to find one that we would not be able to tackle with a 3 and 6 year old in tow. 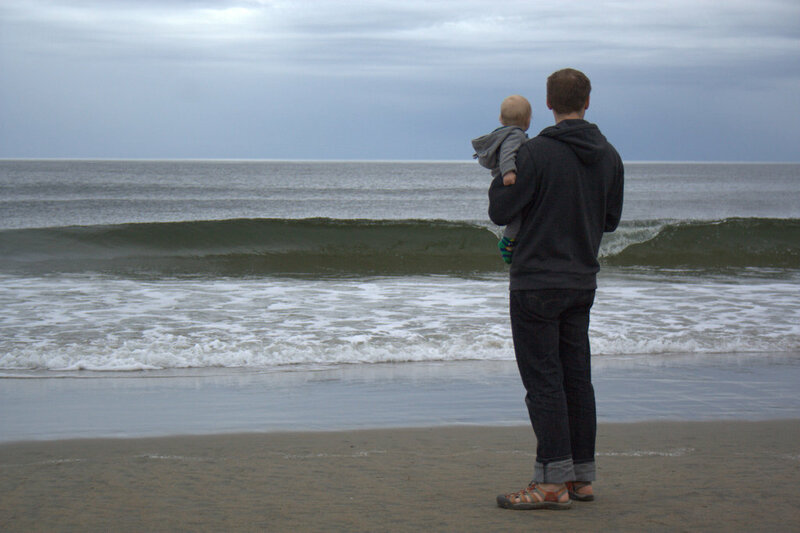 Our big kids had just left for a grand adventure–a week in NJ with Grandma & Pop Pop, flying solo for the first time ever. 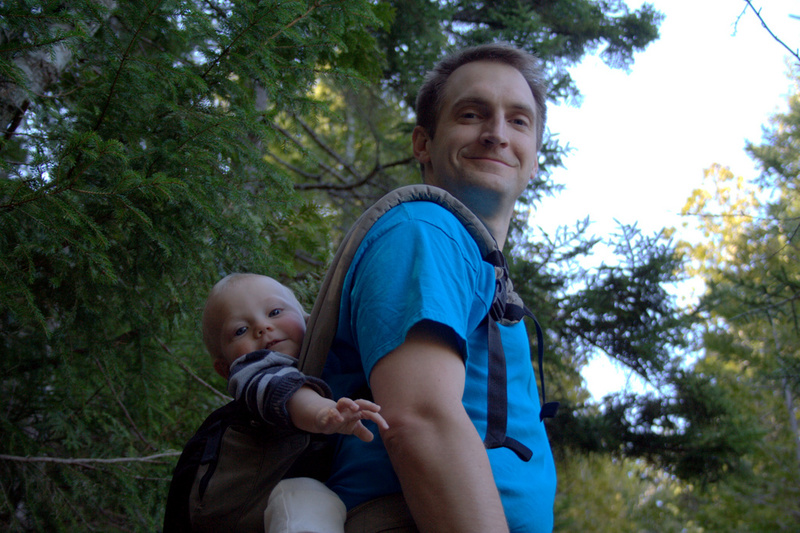 With Finn in a carrier, we were aiming to hike up a mountain and get some much desired fresh air, burning muscles, and a view. 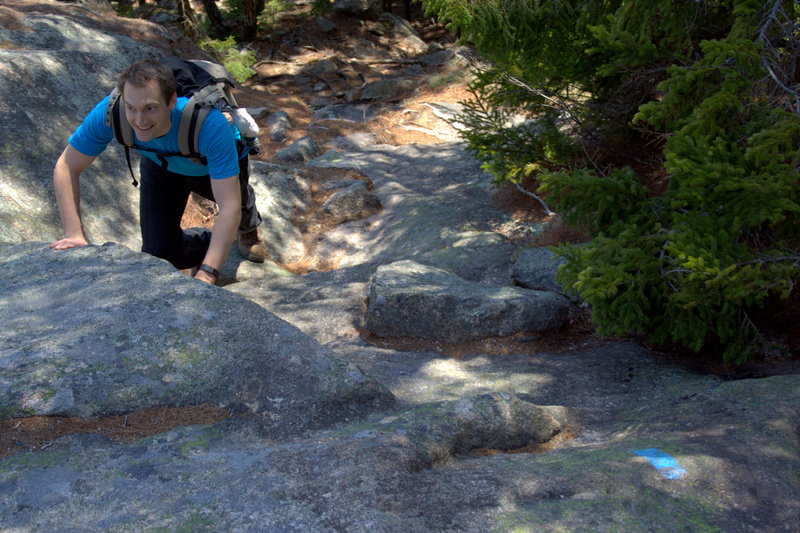 We found exactly what we were seeking in the Mansell Mountain Trail in Southwest Harbor, Maine. We found it by watching 1 Minute Hikes with Aislinn, and you can watch her video of the hike here (watching it again, I’m realizing we hiked the trail backwards). 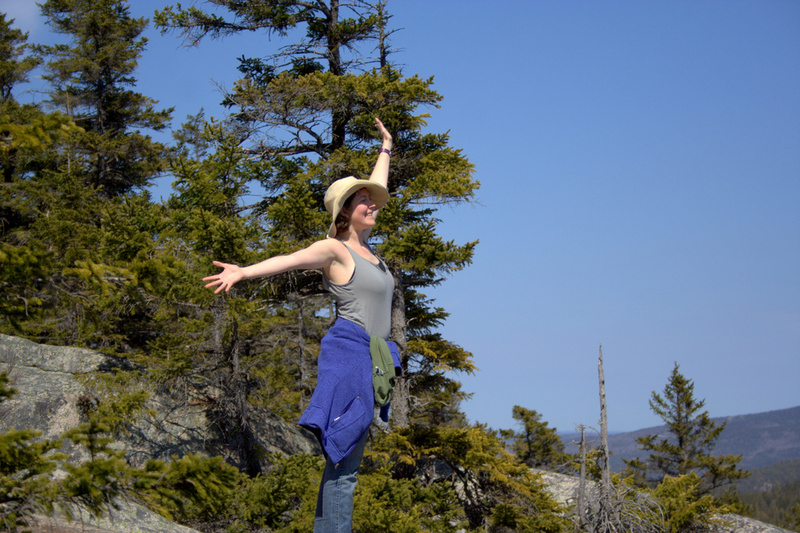 It’s a pretty neat tool for those looking for new hikes in Maine (although I don’t really know why it’s called “1 minute hikes” since the hike certainly didn’t take us one minute, and the video is longer than a minute… but still, a useful tool!) 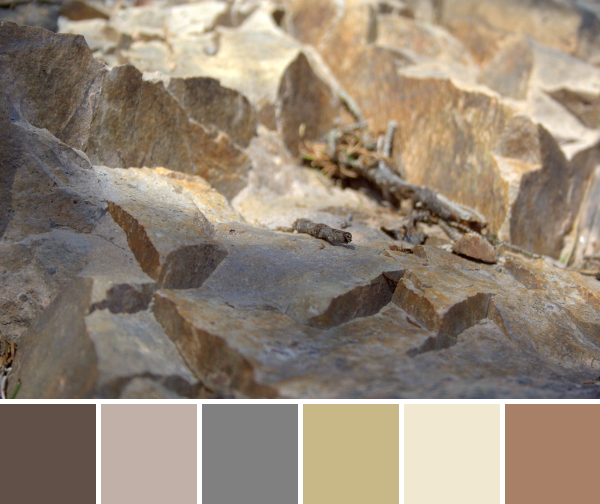 This week’s color inspiration hails from photos I took along the hike. Color palettes were made using Play Crafts’ Palette Builder 2.1, and the matching Kona cotton and Moda Bella solids and Aurifil threads are my favorite perk of using the Palette Builder. The climb up Mansell Mountain was very steep, so my gaze was often on the ground right in front of my face, finding hand-holds in some cases. I marveled in the variations of texture and color as we climbed up the mountain, and this one spot in particular caught my eye. 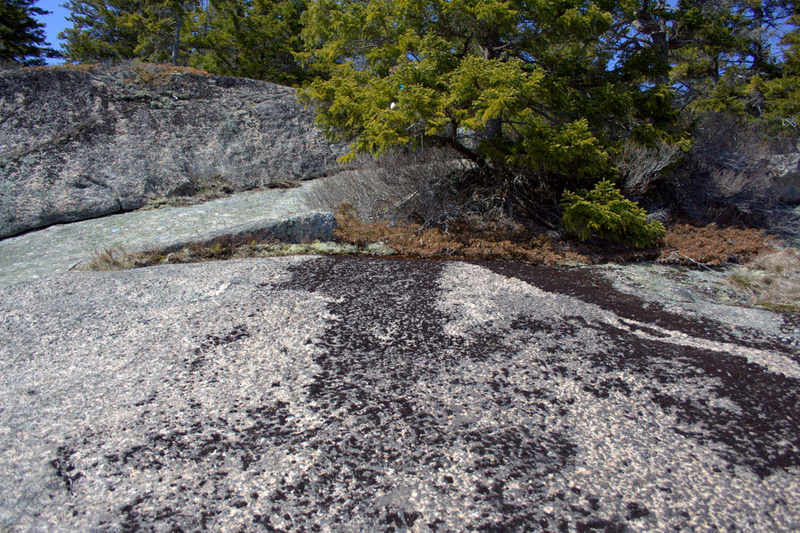 I love the play of shadow in the crevasses, and could even see this transcribed into a full quilt. It reminds me of barren desert cliffs, and without the tiny twig for perspective, I’d almost think I were overlooking some barren landscape. I love this photo and palette since it’s a perfect example of the benefit of taking a *really* close look at the world around you. These tiny almost crystalline bits of lichen could have easily been tromped over without a second glance. Looking closely, though, you see it’s a beautiful little varied world full of greys, beige, and a hint of peach. Call me weird, but I think it’s quite beautiful. It’s amazing how the appearance of the world changes as you take a closer look! 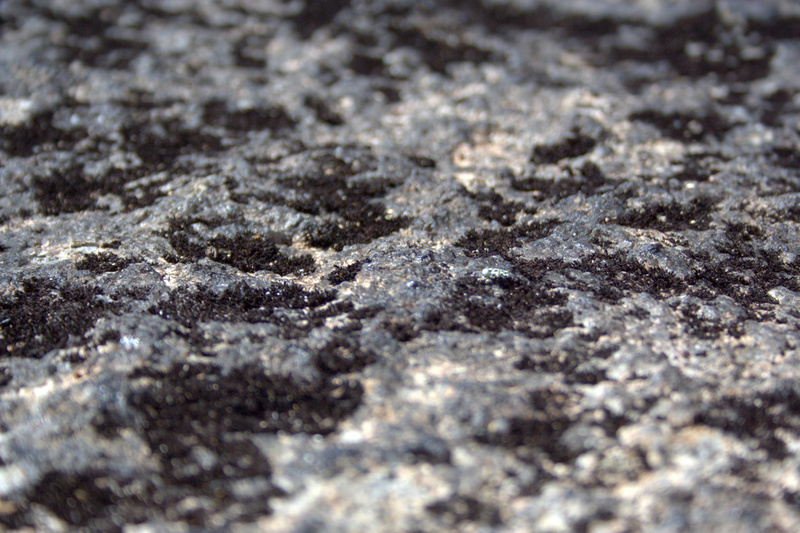 This “dirty rock” is actually a tiny world of beauty. Amazing! We were seeking great views, and we found them indeed. Photos don’t do the hike justice at all, but I’ll include some more below. A mountain face of stone stairs, wooden slats across wet areas, pristine babbling streams winding along next to the path, sun on our backs, and a view that just cannot be portrayed. It was a lovely day! Climbing up Mansell Mountain with a baby on his back. He’s a keep-ah! 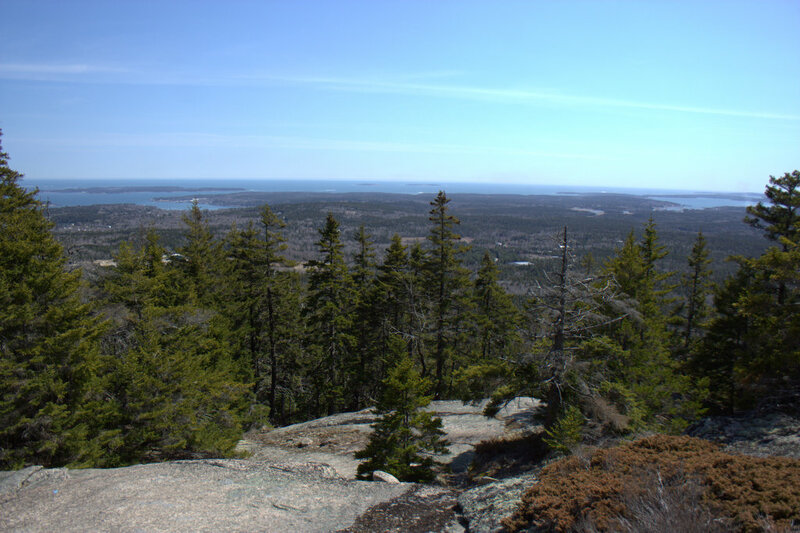 The view from one of the lookouts on Mansell Mountain. 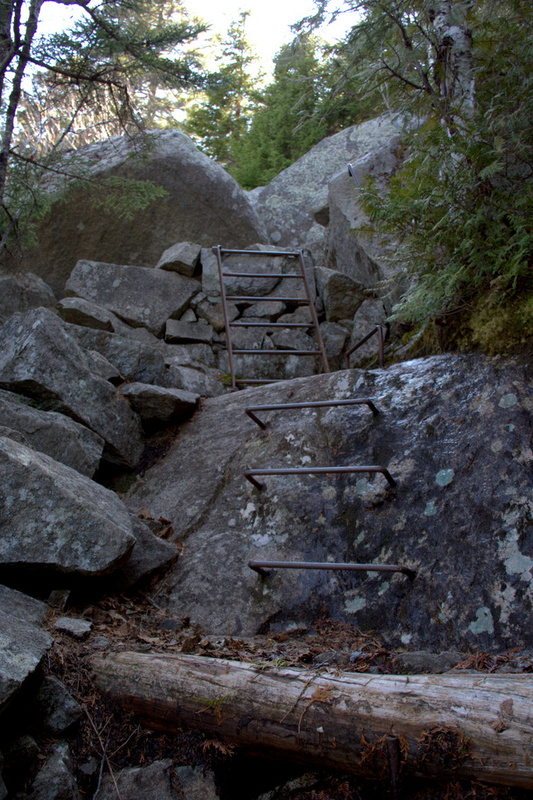 I love trails with actual metal ladders! 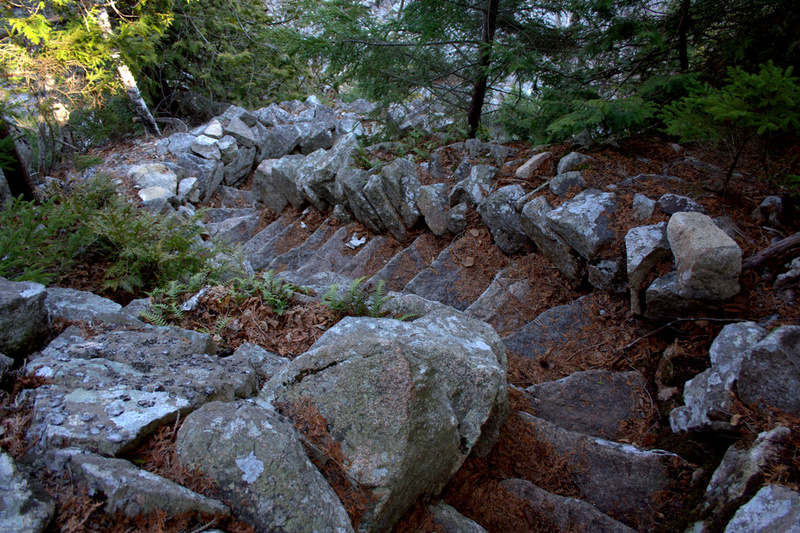 Pretty much the entire trail down the mountain consisted of these gorgeously crafted stone stairs. 900+ foot elevation traversed on stairs! My sweet and handsome hiking buddies! 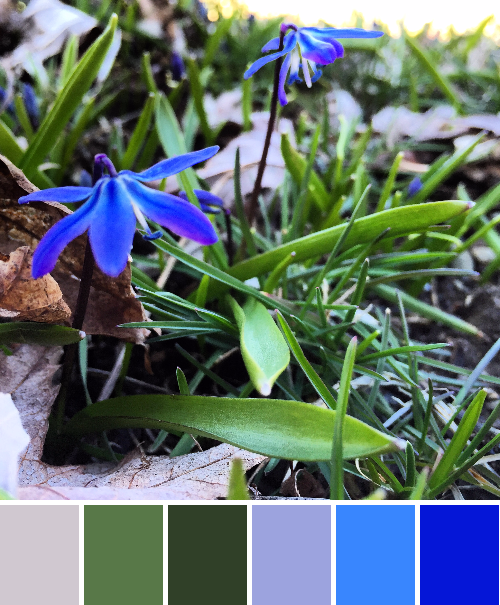 I’m breaking one of my big blogging rules today and sharing color palettes created from photos I took with my phone, but I had to–they are photos of the first flowers of spring! Yesterday we finally had a warm and sunny day, so the boys and I walked to meet Maddie after kindergarten. As we began to walk home, I spotted something tiny and blue in the grass. We all immediately went to investigate and found a bunch of tiny grape hyacinths and Siberian squill. 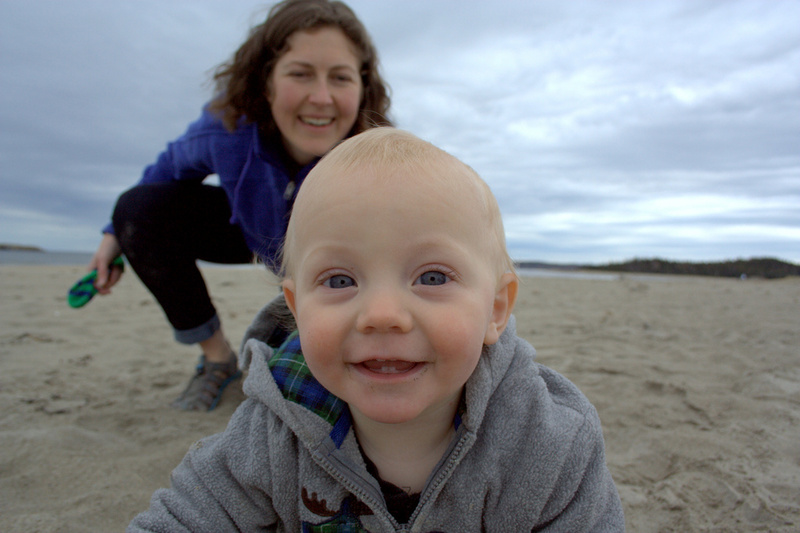 I had my phone but not my camera since we were traveling by foot with only a stroller. We watched a honey bee buzz around them for a bit and I flattened to my belly to capture the moment (as is my style). Camera phones are pretty impressive these days, though, so I think the photos turned out alright. I think I have an iPhone 6, but tech details are not my forté. Color palettes were created using Play Crafts’ Palette Builder 2.1, as per usual, and the springy matching Aurifil thread and fabric solids (a mix of Kona cottons and Moda Bella solids) are one of my favorite perks of the Palette Builder tool. These little grape hyacinths were tiny, but I’m glad my ever-color-seeking eyes spotted them! I love how everything changes when you get really close and take a detailed look. Tiny bulbous bells, happily visited by an early bee, were exactly what I needed to see! The bee was flitting a bit too quickly for me, so I didn’t catch him this time. No worries; there will be a next time. Siberian squill are one of my favorite flowers, most likely due to their rich and gorgeous color. I also love their dainty overhanging splay, which I would imagine to be a fabulously cute umbrella for the resident fairies. You can get a really fabulous look at these flowers in bulk in my post from a year or so ago HERE (seriously, it’s worth a visit!). To give you a bit of scale for these spring beauties, here is giant Finn sitting next to them, more focused on the leaves and grass that those tiny pops of blue. I’m so excited that the flowers have begun to bloom, since the forecast promises a few more warm days of sun. Surely by next week, the flowers in our yard will begin to show! 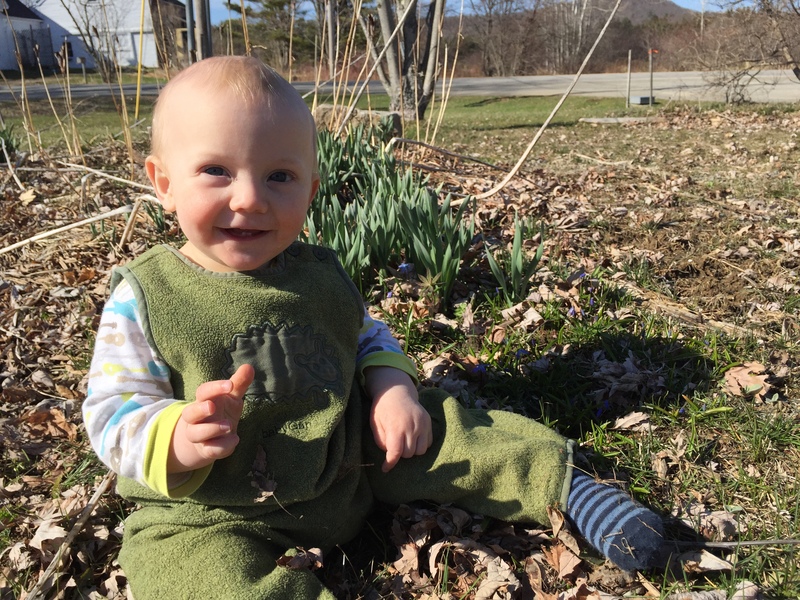 Spring has finally arrived in Maine!